Vince and Elliot McNally host a patriotic episode way up in Winnepac, ME. Winnepac is a town with a palpable—yet somewhat questionable—hatred of Canada. With the boys is local anti-Canadian souvenir and prank store owner, Rob McDale (Andy Hilbrands). Andy Hilbrands is an actor, comedian and improvisor living in Minneapolis, MN. 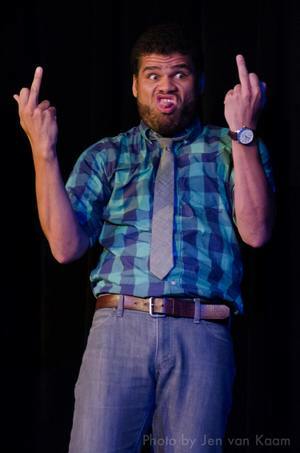 See him on stage at the Brave New Workshop and performing as a member of Blackout Improv.